This entry was posted in Books, Ultima 3 by Pix. Bookmark the permalink. 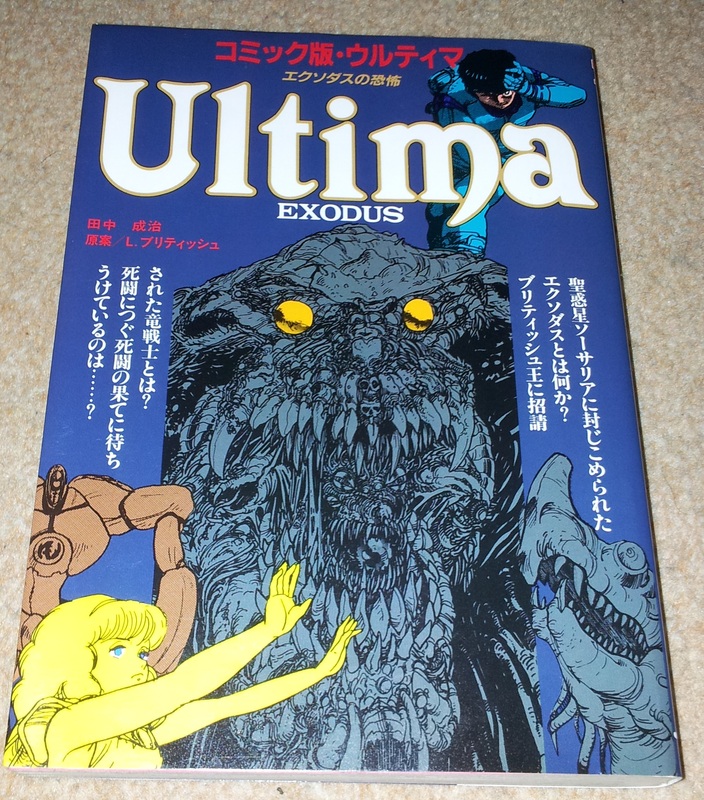 Wow, Pix I’m jealous of your Japanese Ultima collection. I’m a huge Ultima fan and collector and I used to live in Japan so my Japanese is quite decent. I don’t have that LP nor that “Ultima – Crisis in Britannia” gamebook. It is on amazon.co.jp for 780 yen though. I will definitely have to pick it up. Do you have the “Fall of Magincia” manga? I’ve looked for that one for a while but haven’t found it on amazon.co.jp nor any online auction sites. I’m equally jealous of your ability to read these. I don’t know about rarity as I just pick things up when I see them but none of this stuff was all that expensive actually. The LP cost more than anything else at about 1000 yen but I think I was the only bidder, so it is probably out there for less. I don’t have any of the other manga’s yet. There is a translated version of Fall Of Magincia being worked on if you click on the scanlation link in the post but it’s not finished yet. That should give the full translated text of the Exodus manga. Sorry if you’ve already read the Codex post; just looking to cover all bases. Thanks a lot, I’m looking forward to reading this at long last.